Iron Span Maybe the top Drag Son ever. His dam, one of DCC's most twist-horned cows, also produced Non Stop. He has been shown at halter twice winning ORVTLA Grand Champion All Age Bull and also ITLA 2017 Grand Champion Bull at the Championship show. Horns 78" at 909 days. 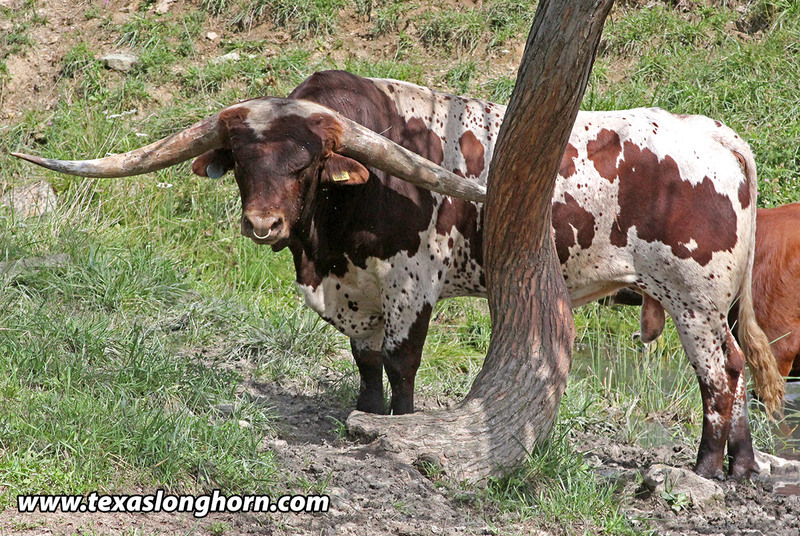 He has low scoop-back horn with one tip removed. Bred on select DCC cows 2018.